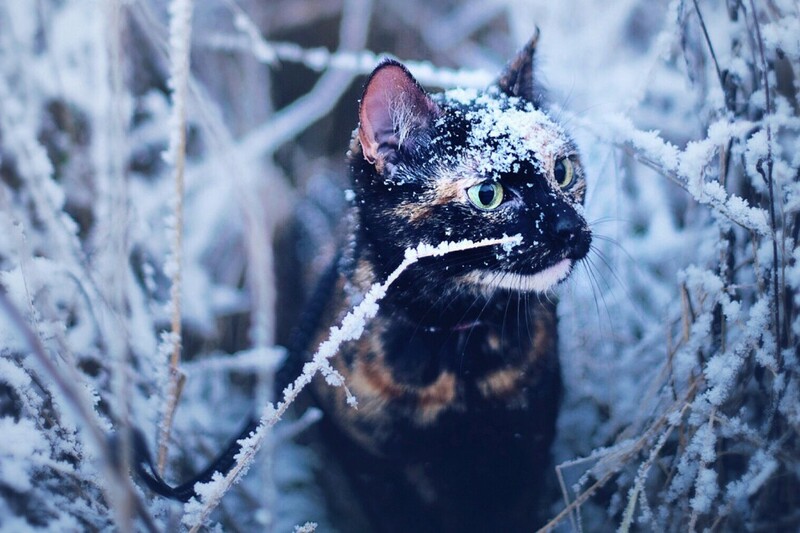 We recently came across an Instagram account full of stunning photos of an adventurous tortie, so naturally we had to learn more about this cat. It turns out her name is Kate, and she lives in Poland with photographer Magdalena Grześkowiak. 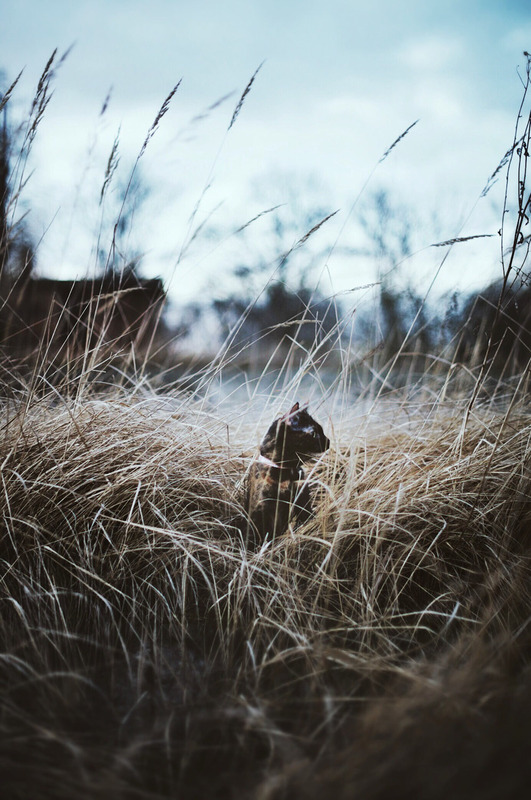 Grześkowiak adopted Kate in 2014, and the feline quickly became more than just a kitty companion — she became Grześkowiak’s favorite subject and helped her pursue her dream of becoming a professional photographer. Together, they’ve explored Poland from forest to sea, and Grześkowiak snapped photos every step of the way. 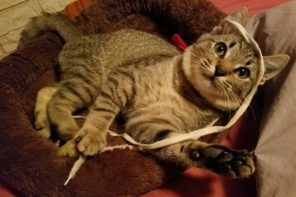 Take a look at her gorgeous pictures and learn more about the adventure-loving kitty who inspired her. 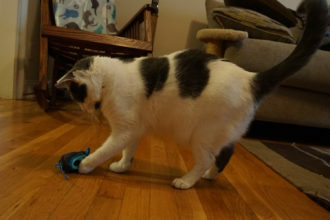 Adventure Cats: How did you come to adopt Kate? Magdalena Grześkowiak: Two years ago, a day before my birthday we were sitting in a bar, hanging out with our friends on a warm, summer night. It was my boyfriend who stumbled upon her photo on Facebook. We read the story about a little rescue cat that temporarily is living together with two grown cats, bossing them around. He showed her to me, because on that photo she looked like an aye-aye, and creatures like that always make my heart melt. This cat looked like some extraterrestrial life form: huge ears, big eyes and surprisingly long legs. At the time, I had just quit my corporate job and started looking for a new one, so I had plenty of time to take care of baby Kate. All in all, I believe she helped me gather up courage to focus on my career as a professional photographer. Adventure Cats: What inspired you to take Kate outside with you? I never envisioned myself having a cat. I need my space and my independence, and sometimes I just want everyone to let me be. I wondered if I’d be able fit a cat into my world. I thought that being a cat person is an all-or-nothing deal, especially when you live in a small apartment in the city. 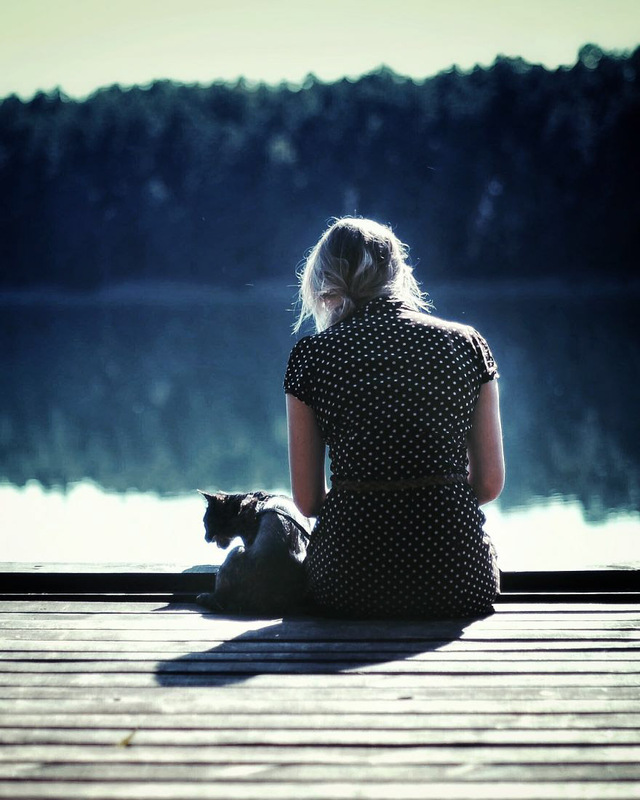 There’s no room for compromise — when you’re at home, you’re with your pet all the time. I felt rather anxious about it. That’s why I always wanted to have a dog — you can always take a dog for a walk. I always spent summer outside of the city, in the country camping. When I adopted Kate, I wanted to fit her into my life. Plus, she was a sweet little kitten and I didn’t want to leave her ever. I knew that taking her out might not be something she likes, but it was probably her wild upbringing made it possible. Adventure Cats: What parts of the world have you explored together? Right now we keep to northern Poland. She already explored the beaches of the Baltic Sea and the forest around Drawa National Park. We also have a plan to buy a camper and travel around Scandinavia. Of course, Kate will come with us. Having the house on wheels would allow us to modify our route in a way that she can feel good and safe. 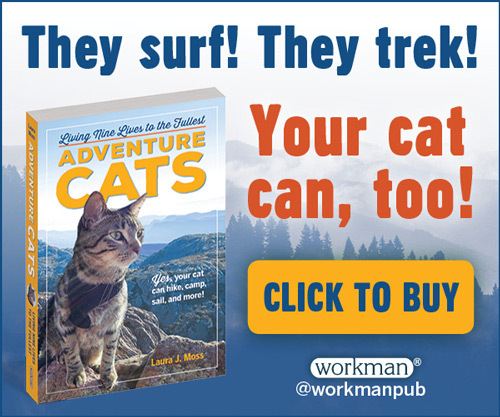 Adventure Cats: What kind of trips do you take? We have a country house in Drawa National Park. There are plenty of various places there: the forest, the wild river and countless lakes — some of them so small only locals know how to find them. There are hills and valleys connected by roads that mostly lead to nowhere these days. In the summer, the place is a popular tourist destination [where] people rent canoes and sail down the Drawa River. In these beautiful surroundings, our walks started to become longer and longer. When I take Kate for a walk I see everything from a new perspective — I look at things her way. A fallen tree trunk turns into a bridge, a giant leaf into an umbrella giving you shade when the sun is high. Kate is curious by nature. She loves walking in tall grass, hunting crickets and squeezing herself between tree roots. She will dig her way down every den she can find. When we’re out, we often go by the lake to sit and watch the fishes or walk along the rails. We let Kate decide when to go, no matter how long it will take me to untangle her and bring her out of the bushes. Adventure Cats: Do you have any special gear for her? 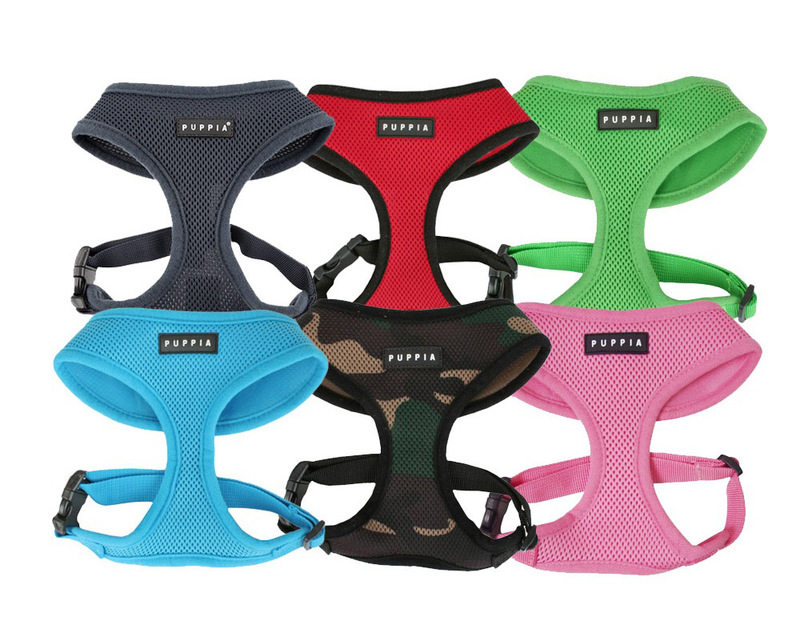 We’ve got an ordinary harness and a long, expandable leash, so Kate has all the space she needs to climb the trees or jump into the bushes. We keep her on a leash since when we meet some other creature, Kate wants to run away or to fight it. She’ll fight almost everything that’s smaller then a goat. To prevent that, we try to hide her in a bag or inside our jackets every time we see that something’s in our way. Adventure Cats: What’s one of your favorite memories with Kate? It was back when she was little and every thing seemed brand new to her. We took a trip to spend some time on the coast of the Baltic Sea. There’s a stairway inside the house there, and it turned out be the highlight of our stay — at least for Kate. We don’t have stairs inside our apartment, and I think that’s why she was so completely fascinated by them. I can remember her calling us to come and play with her. First she brought all her toys, then she waited for us to throw them around so she can “hunt.” Even when we weren’t in the room, we heard her running up and down the stairs. She was little, cute and deadly. 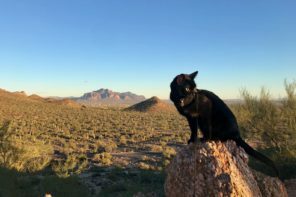 Adventure Cats: What’s the best part of adventuring with a cat? The best part is that you see all the details that you would have missed otherwise. A cat’s world consist of stones and bushes, all of which have a potential to be a perfect playground. When I go off the beaten track I often find myself in a new, beautiful places. 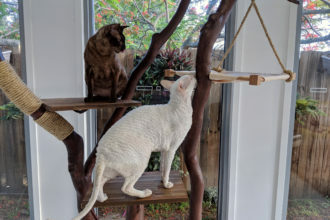 Adventure Cats: Are there any disadvantages? Kate loves to walk around, but she also scares easily. Sometimes all it takes is a small figure at the end of the road. On the other hand when the “danger” is close she won’t let go without a fight. That’s why we do our best to keep her away from dogs and other cats. When there’s nothing else to do we let her hide in a bag and hold her tight. She can look around, listen to all the noises and still feel safe and hidden. Adventure Cats: What effect has this kitty adventuring had on you? When you live with a cat, it’s easy to think of it as a creature born to live the life wrapped in a warm blanket. I love those beige cats that look like they wear winter socks on their feet. 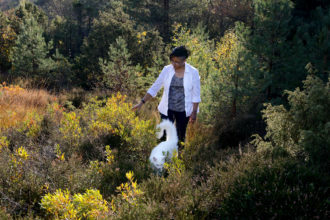 Kate on the other hand look best when she’s surrounded by wildlife, close to nature. 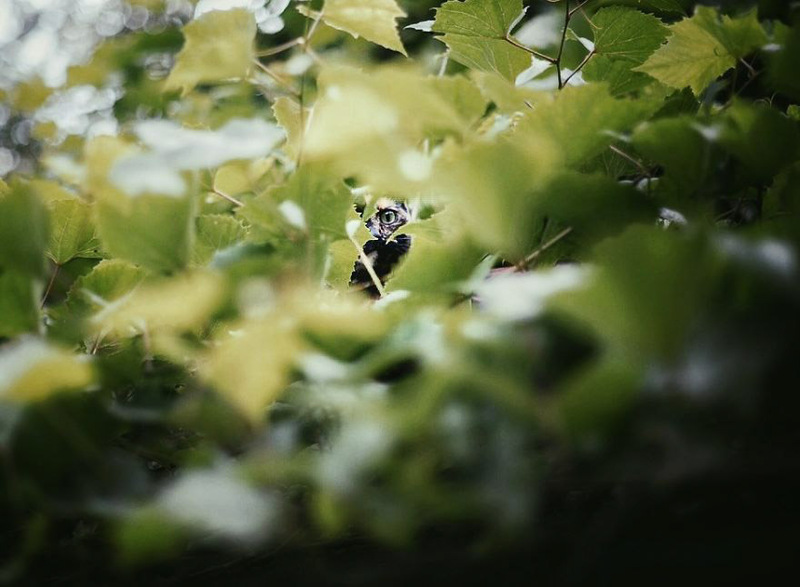 Finding her on a road covered with fallen leaves is so hard, that only her huge eyes give her away. She’s wild at heart, but still she can crawl into the sheets and sleep for 12 hours. I think she likes both sleeping in front of the fireplace at home and roaming her outdoor kingdom. I like to watch her going from one state into the other. It’s like taking a trip to wonderland with little Alice. I believe that by showing me this she made me a better photographer. 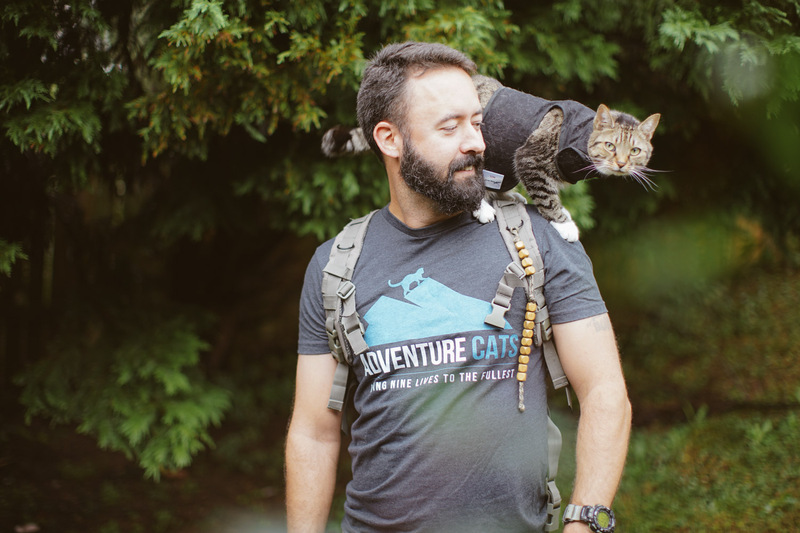 Adventure Cats: What advice do you have for other adventure cat owners? I think you need patience. You also have to understand your pet and don’t try to change its nature. If it doesn’t feel good, don’t force it. On the other hand you should remember that a cat that was taught to walk outside will miss going out. 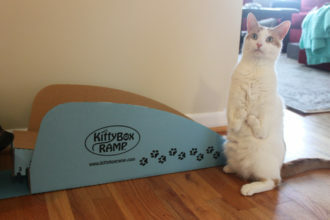 Even if you change your mind, a cat will still stand by the door, waiting for a chance to go for a walk. Scroll through the gallery at the top to see more photos of Kate, and keep up with all her adventures on Instagram. All photos are courtesy of Magdalena Grześkowiak. What a lovely post. I especially like how Kate lets Magdalena experience the world from a whole new perspective 🙂 What a special bond they have!